SAN FRANCISCO, March 25 (Xinhua) -- U.S. aerospace giant Boeing said Monday that it has for the first time successfully test-launched two interceptors to knock down a ballistic missile target over the Pacific Ocean. It partnered with the U.S. Missile Defense Agency to conduct the historic test, it said. The incoming "threat-representative target" of the intercontinental ballistic missile (ICBM) class was destroyed by two Ground-Based Midcourse Defense (GMD) system interceptors fired from the U.S. Air Force base in Vandenberg, California, Boeing said. 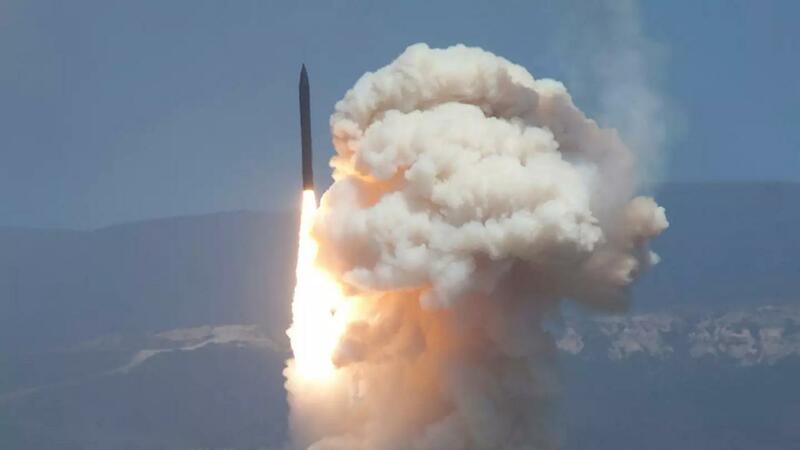 The successful test, known as a "two-shot salvo" engagement, proved the U.S. ability to defend itself from the threat of intercontinental ballistic missiles and validated its GMD fielded system, said Boeing. Boeing has been the prime contractor of the U.S. military's GMD program since 2001. During the test, one interceptor destroyed the target launched from Kwajalein Atoll test site in the Pacific Ocean, about 6,400 km from the Vandenberg Base in California, while the second one observed that interception before it struck additional debris to "ensure missile destruction," Boeing said. "The data collected from this test will enhance missile defense for years to come and solidify confidence in the system," said Paul Smith, Boeing's vice president and GMD program director. The GMD system is an integral part of the U.S. layered ballistic missile defense architecture.